Ares is the P2P file sharing software that everyone is using with their iPod Touch and iPad and even the Nano. If you were wondering how people get hundreds of songs and movies and games onto their iPod look no more. Ares Destiny has the latest fastest version of Ares with zero connection issues. 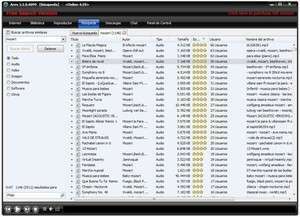 Ares Destiny gives you access to the largest music downloading network on the planet today. For security reasons, you should also check out the Ares Destiny download at LO4D.com which includes virus and malware tests. Additional screenshots of this application download may be available, too. 2.15 out of 5 based on 36 ratings.